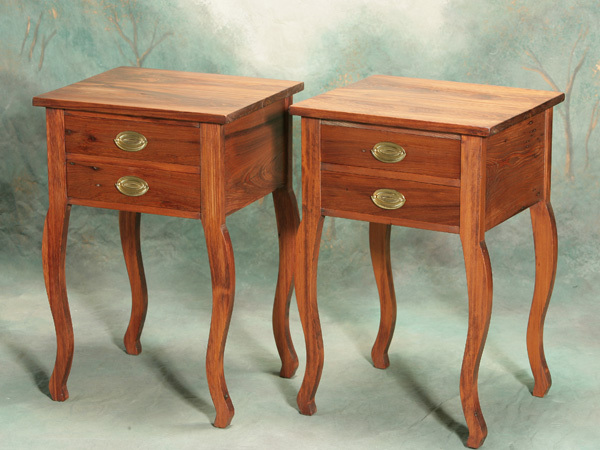 A pair of Louisiana cypress side tables. Features two drawers and a flat sided cabriole leg. These are modeled from an 18th century side table. The pulls can be changed, and custom sizes can be made. Excellent for use in a bedroom, sitting room, or as occasional pieces. 18 x 20 x 30"H, finished with english chestnut color and a hand rubbed wax.